sample of what they have for sale. When you are done here, be sure to check out our Classifieds page. This is where you can post your own ad or look through the ads of items for sale. Here is your chance to advertise on the "MET PARTS DEALERS" page. 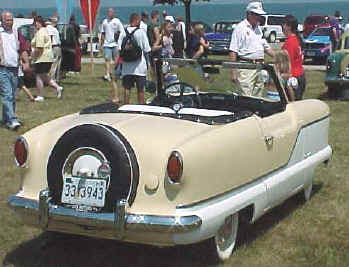 that have been field tested in our restorations to fit and perform as the original parts did. both services available on in stock items only. and we offer the very best in customer service. 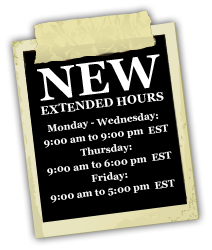 We accept orders via phone (answering service available 24/7), email, fax, or by mail. We also carry an extensive line of reasonably priced, good quality, original used parts. Master Card & Visa accepted on all orders. Here is a deal you won't want to pass up! This is an opportunity for you to get an engine. He only does a few each year. (calling would get fastest response). different colors, different years etc. Some NOS materials of 1950-1960 vintage car interiors that look great in the Mets. that can be customized to suit any paint color. wind lace, seat covers, headliner - if needed, etc…..
Everything you need to completely restore the Met interior. Complete kit prices begin at $625 per kit. Convertible tops, tire covers and convertible boots also available. A MET WITHOUT A "SHANNON CRUTCHER INTERIOR" JUST ISN’T COMPLETE!!! Immediate shipping of all 14,726 parts Metropolitans are made of. Phone Toll-Free 1-800-677-5519 for your FREE CATALOG. 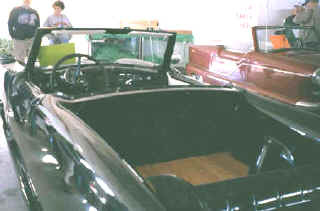 Interiors, Tow Bars, Accessories, Collectibles. Radio Knobs, 6-piece set - Exact replicas of the originals! 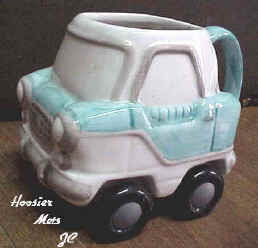 Met Mug on Wheels - Glazed ceramic Met on wheels that really roll! from the rear end of a 54 met? That is a J&K original. restored by Jim and Ken. Showing all models, interiors, and features. Have lists for all makes cars/trucks/motorcycles - worldwide. original Wilmot Breeden Keys, FA and FP letter and numbers on side of key. Where to look for the numbers. On face of ignition switch, example: FA 505.
later cars, 1956 through 1962, FP series, number range, 626 through 750.
that a round key will fit your ignition switch. your daytime phone number and fax number. Ellicott City, Md. 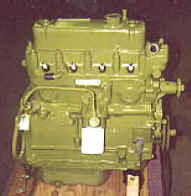 21042-3647 U.S.A.
Classic Car Restoration Services, Inc.
Eureka Bearing & Supply Co. Fasteners for chrome, Met script, misc.